Shortlisted: Small Practice of the Year! 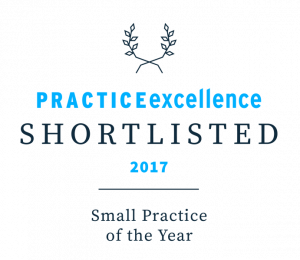 We are delighted to announce that we have been shortlisted for SMALL PRACTICE OF THE YEAR in the Practice Excellence Awards. The only Bristol accountancy firm or indeed the only accountants in the South-west! Evans & Partners are the leading Xero Platinum Partner in the Southwest and champion the use of smart technology to help our clients see their past, present and future. Our mission is simple, we want to help you love running your business and still have a life. tel: 0117 9675215 or email client.service@evanspartners.co.uk. We love talking to clients, no taxi meter!